When Ted Chan woke up one morning last January, he was stunned to find his vehicle, a Toyota 4Runner, missing from his driveway. He checked the footage on the security camera outside his house and what he saw shocked him — four men, approaching his SUV, around 2 a.m. They unlocked the 4Runner and got in. They sat inside the vehicle for a few minutes, and all of a sudden, they turned on the engine and drove off. It all happened in less than 20 minutes. “I was shocked more than anything else. I didn’t have time to register any anger, I was just completely dumbfounded that it could happen,” said Chan. According to Statistics Canada, rates of auto theft were steadily dropping for more than a decade, but they spiked in recent years. Between 2016 and 2017, there were more than 85,000 reported auto thefts, a six per cent increase from the year before. Det.-Sgt. Paul LaSalle of the York Regional Police Department’s auto cargo theft unit says that the rise is partly due to new technology that thieves are using, which allows them to hack into a car’s computer, using a small device, and reprogram a blank key to connect to the car. 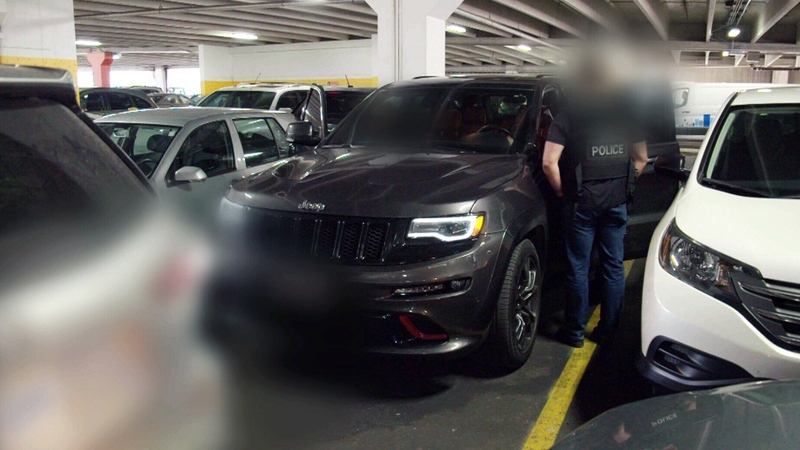 That small device is what the thieves used to steal Ted Chan’s 4Runner, which was just one of 29 high-end vehicles that were lifted from the Aurora, Ont. area within the span of a couple months. 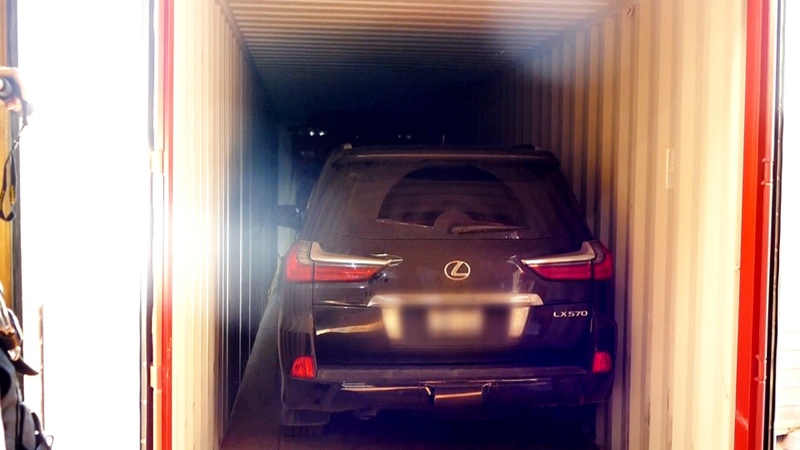 A few weeks after Chan’s 4Runner was stolen, the auto cargo theft team arrested and charged four men from the Montreal and Ottawa areas with multiple counts of theft of a motor vehicle and possession of property obtained by crime. Three of the men pleaded guilty. And while police say high tech thefts like that are common, there’s an even more brazen technique they’re seeing thieves use to steal cars – fraudulent financing. The crime group will go into a dealership and apply for an expensive loan, in some cases, using fake identities or false information. The applications get approved, but the crime group has no intention of ever paying off the loan. For the past seven months, the unit has been working on an investigation, called Project Sandstorm, that’s focused on this specific type of crime. To date, they’ve reclaimed 28 fraudulently financed vehicles that were mostly destined for overseas. LaSalle estimates they’ve seized approximately $1.5 million from the group. But LaSalle says what his unit has been able to stop is likely just the tip of the iceberg. “There’s a lot of money out there, unfortunately, going to bad people” he said. W5’s documentary ‘Hot Wheels’ airs this Saturday at 7pm on CTV.